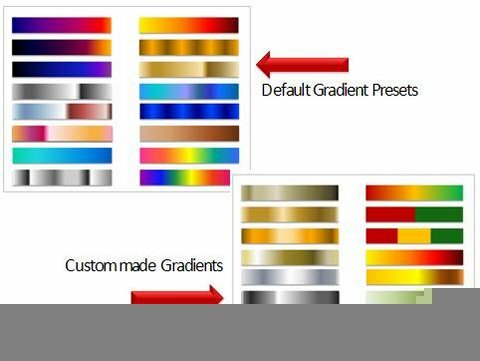 Discover the secret behind creating stunning Gradient in PowerPoint that makes your slides look professional. Learn two powerful concepts that make all the difference in shading colors. The second one with custom gradient fills looks better – doesn’t it? 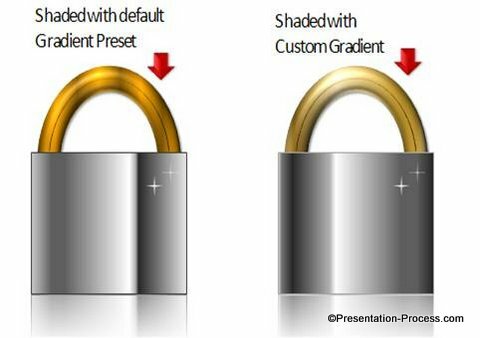 The kind of ‘Gradient fill’ you use to fill your shapes can make the difference between an average diagram and professional diagram. 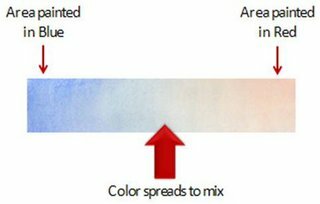 The best way to understand ‘Stops in Gradient’ is to draw a simple parallel from water color painting. Imagine a sheet of wet watercolor paper. What would happen if you drop a blob of blue paint and red paint close to each other? We filled a rectangle with three stops. The first stop is at 0%. We chose the fill color as yellow. The second stop is at 50%, we chose Black. The third stop is at 100%, we chose White. As you can see, the space between the first and second stops is filled with a range of shades between Yellow and Black. The space between the second and third stops has a range of shades between Black and White. 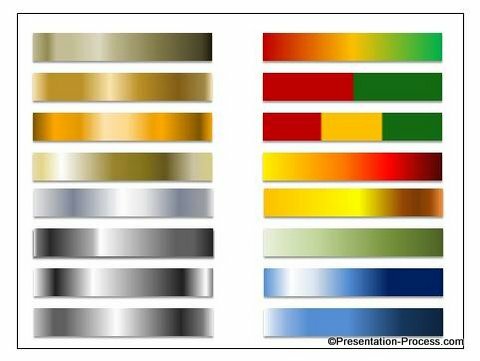 When you ‘get’ this concept intuitively, you can play with ‘Colors’ and ‘Stops’ to create your own variation of PowerPoint gradient. We used ‘stops’ of light color where we wanted maximum light. 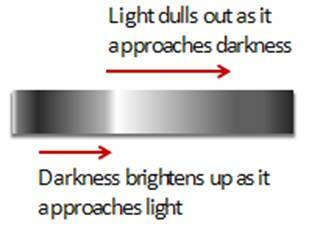 We used ‘stops’ of dark color where we wanted maximum darkness. 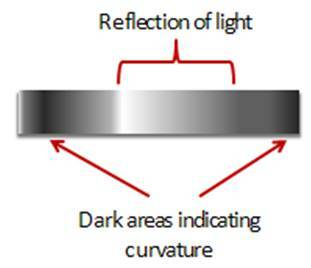 We introduced intermediate stops of lighter or darker colors as appropriate to capture the curvature. 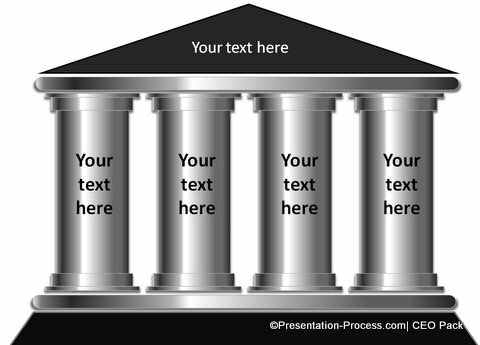 You can create a PowerPoint file with rectangles shaded in different custom made gradients for use later. Whenever you want to fill a shape with gradient, you can use ‘Format painter’ tool to apply your own custom gradient from the rectangles to the shape you want to color. You not only save time, but also use professional shades instead of the default preset gradients. 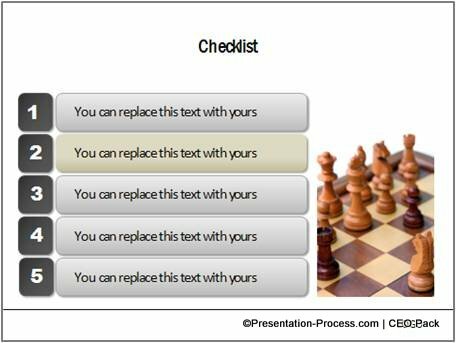 If you are too busy to play around with PowerPoint Gradients, you can take a look at our ‘750+ PowerPoint Charts and Diagram Templates pack for CEOs’. 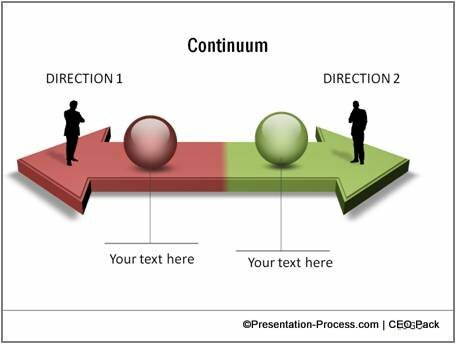 The above interesting green to red gradient in a 3D arrow has also been created using gradient stops in PowerPoint. 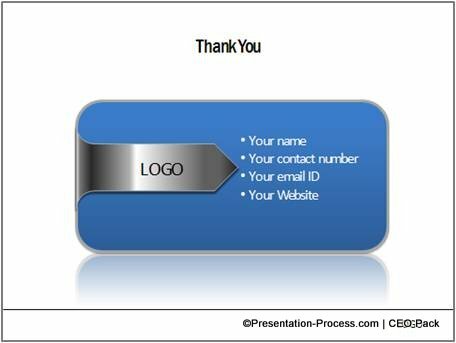 This a unique bridge diagram from the PowerPoint CEO Pack. 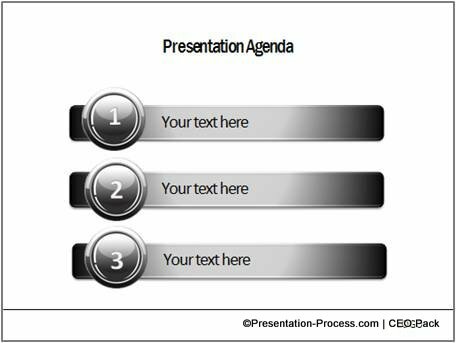 If you are a busy business presenter, responsible for making critical presentations – the CEO pack is a necessary investment for your professional success.